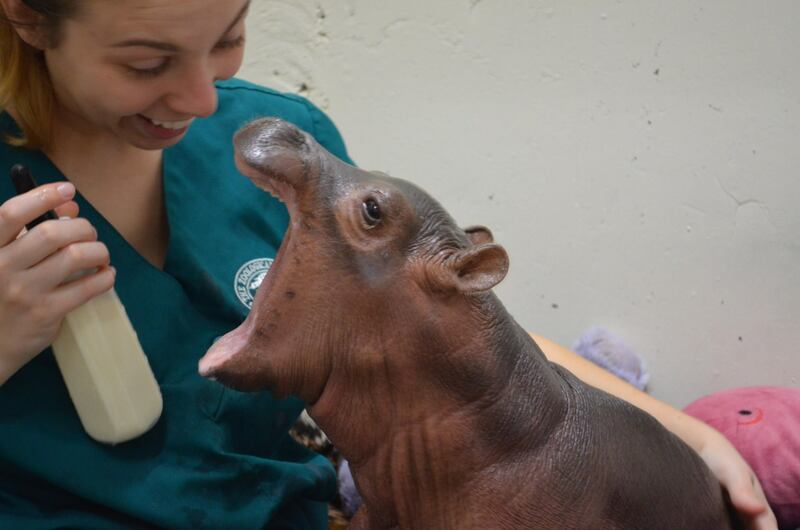 She was born six weeks prematurely and is being raised by keepers at Cincinnati Zoo. 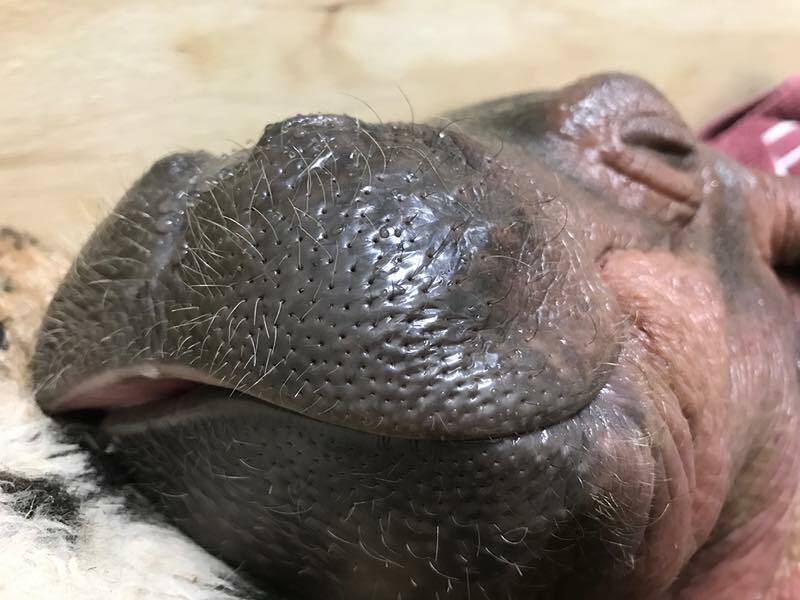 Fiona, Cincinnati Zoo's resident baby hippo who was born six weeks prematurely, is well on her way to becoming a fully fledged hippo after tipping the scales at over 45 kilograms last weekend. She loves playing with her pool toys. At the moment she's all gums. With each milestone that the calf smashes, she edges one step closer to being reunited with her parents Henry and BiBi. 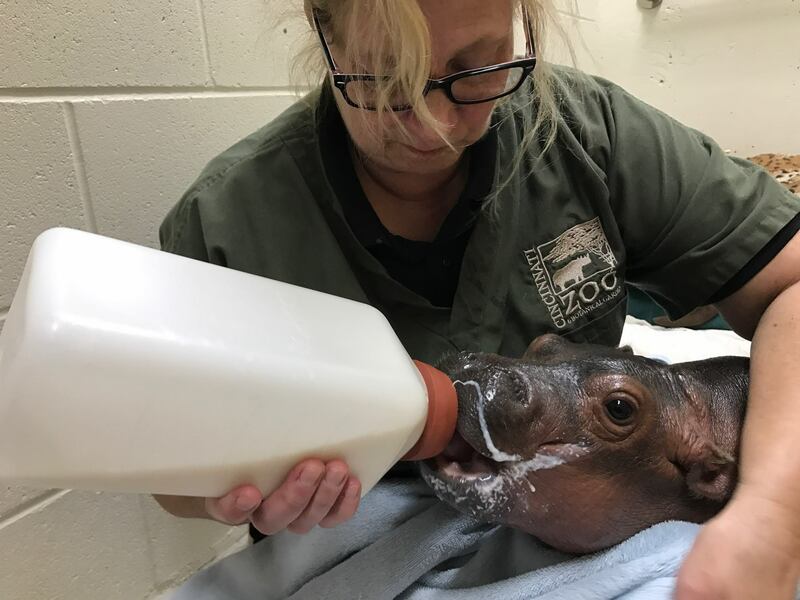 The race is on for her caregivers, however, who have the challenge of having to teach Fiona what she needs to know before she gets too big. 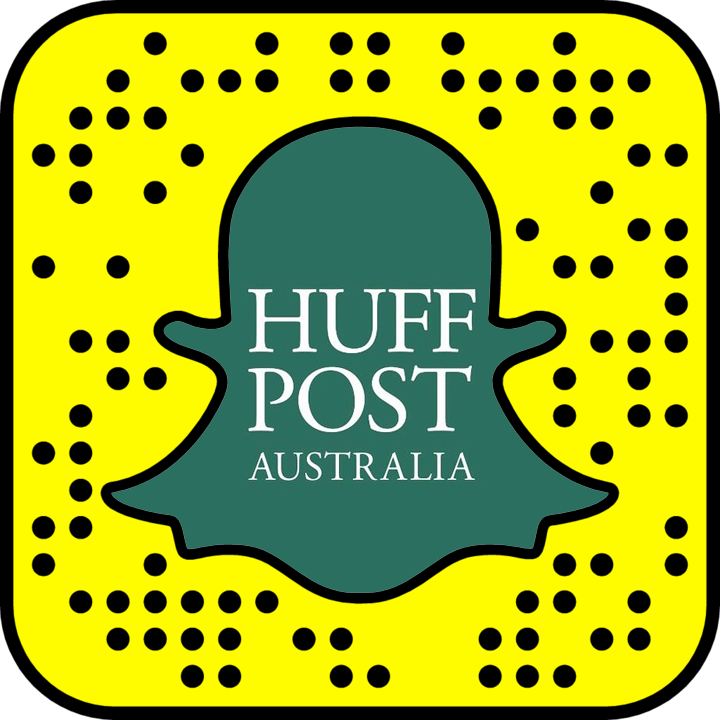 As The Huffington Post reported previously, at a certain point, human surrogates will no longer be able to share the same space as her. But while they still can, they're snapping up ADORABLE pictures of her journey that we're certainly going to miss. 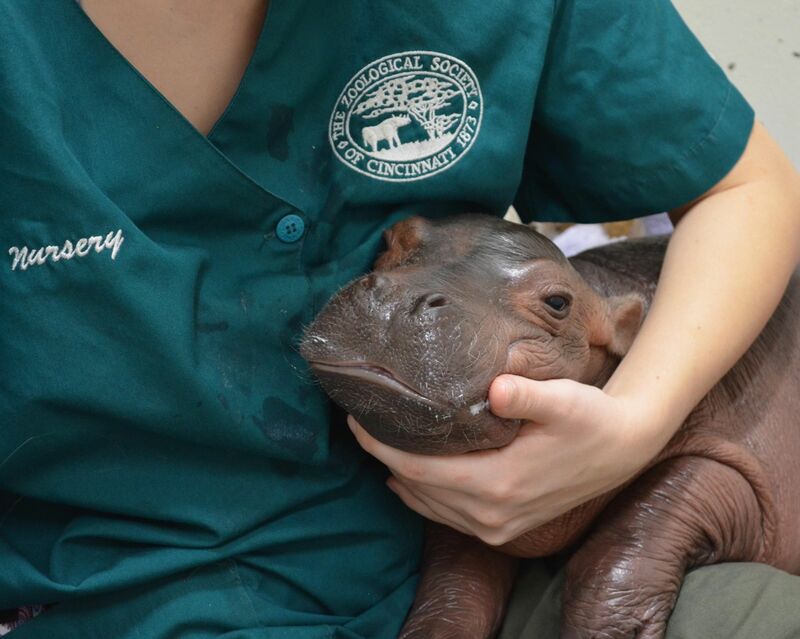 Who's the cutest hippo? 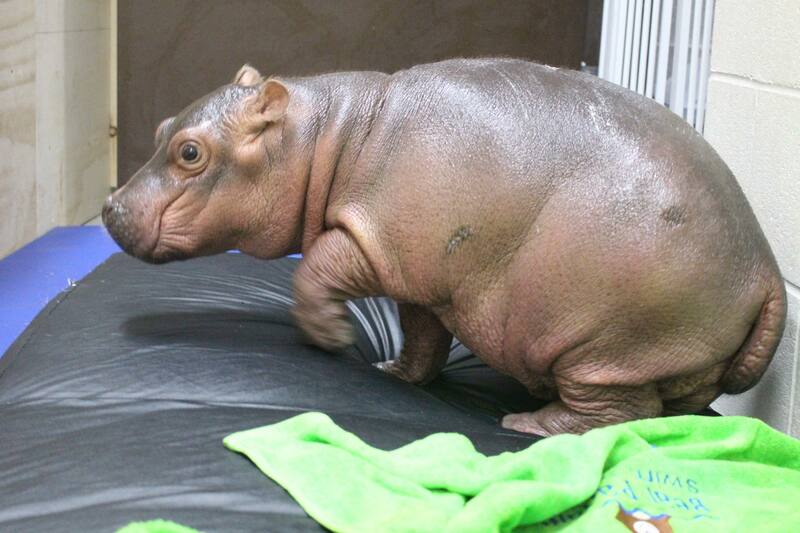 You are Fiona. 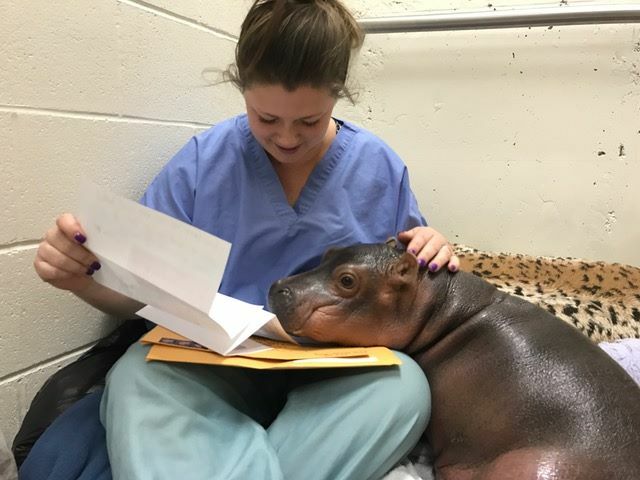 Fiona takes time out to read some of her fan mail. 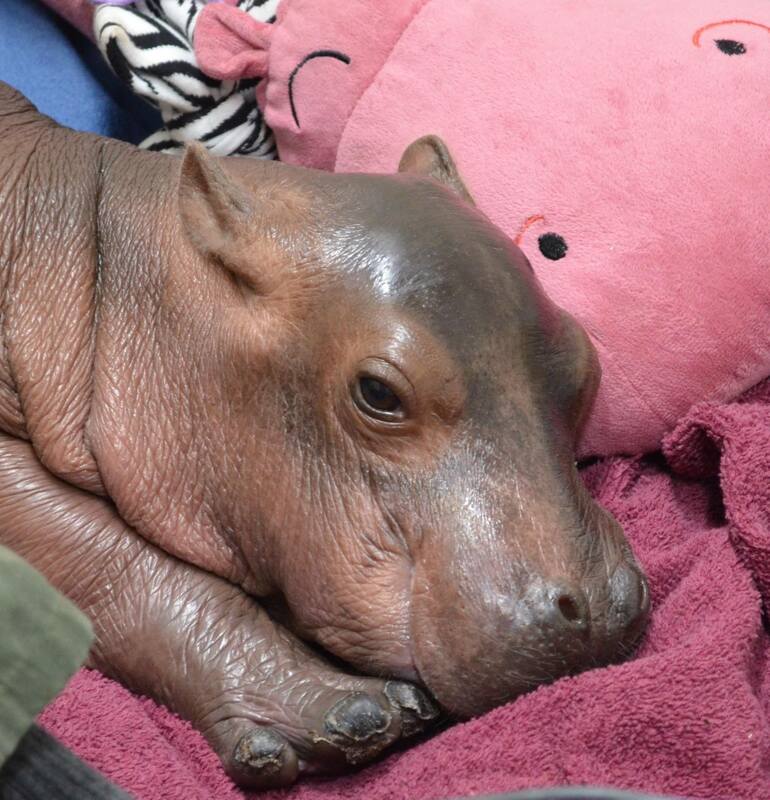 Above, Fiona can be seen eating hay for the first time, which had been pre-chewed by her mother, Bibi. 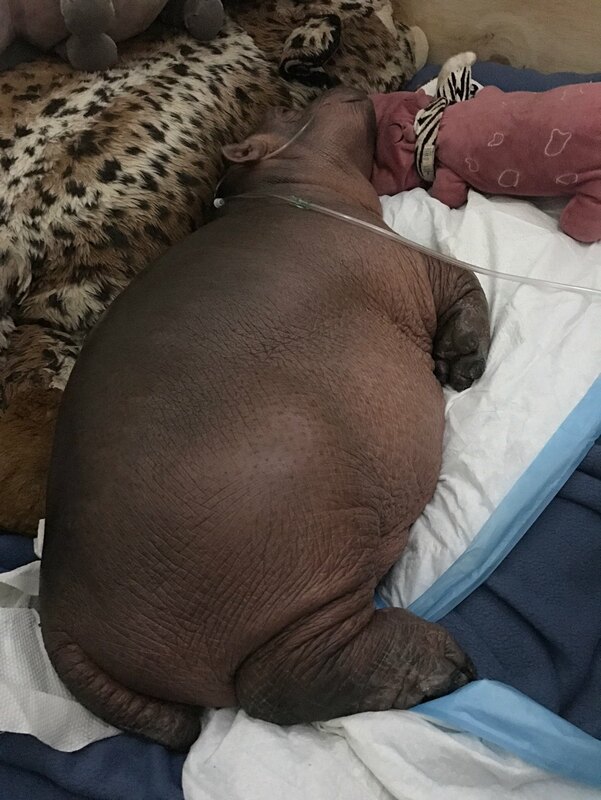 "Bibi's saliva helps expose Fiona's gut to the good healthy bacteria that will help her body process vegetation," the Zoo said in a blog post. 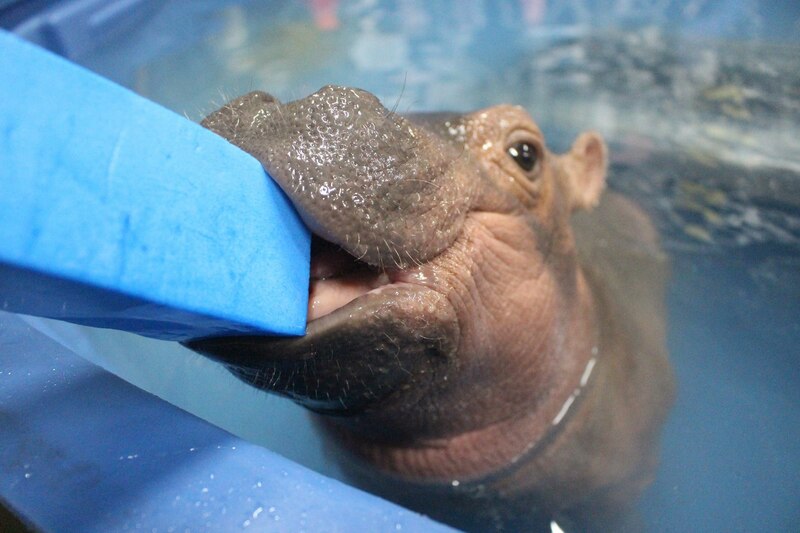 "The foam you see around Fiona's mouth is extra saliva that her body is producing to help with swallowing and digestion. She doesn't have molars yet, so the saliva starts breaking down the hay and makes it soft enough to swallow." Check out that milk moustache! It might not be her most flattering angle, but the bigger she gets, the closer she is to becoming a fully fledged hippo. 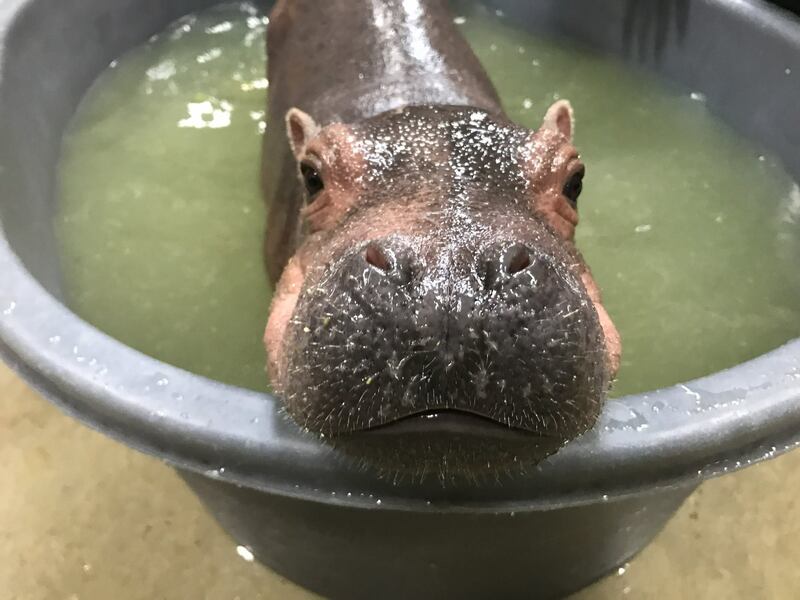 Since her birth on 24 January, the Zoo has been providing regular updates on Fiona's progress, from standing up for the first time to napping underwater. 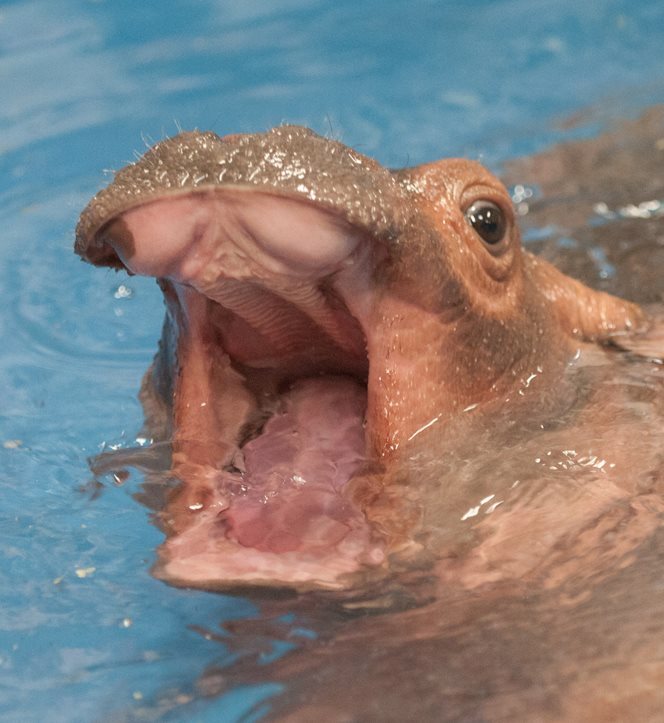 "Adult hippos can hold their breath for several minutes but Fiona comes up about every 15 seconds," the Zoo said. "As she grows larger her lung capacity will increase." Don't freak out, she's just having a nap. 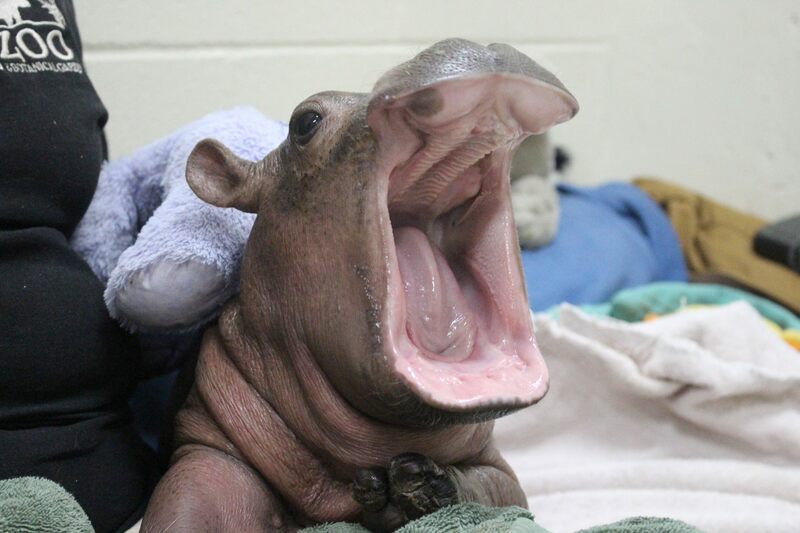 We're sure she'll look much more fierce once she gets some teeth.